The dark and mysterious cousin of India Pale Ale, this complex beauty blends the color and body of a black ale with the flavour and aroma of an IPA. Combining malts from North America, United Kingdom, and Germany, and hops from the Yakima Valley, Australia, and Germany, it bridges the gaps between countries and styles. 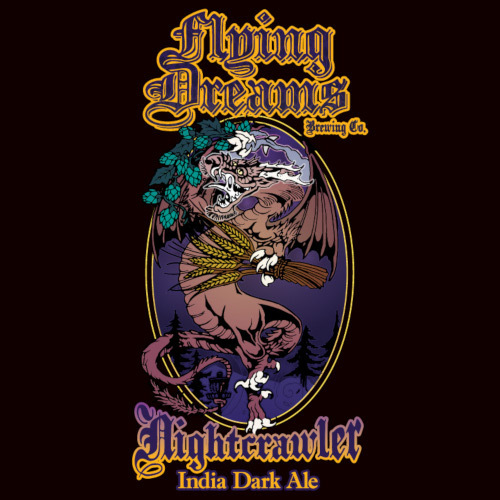 Nightcrawler’s fantastic flavour cannot be contained, so instead it creeps through the shadows and sneaks up on your senses, only to land a place in your heart and in your fridge that no other could take the place of. Not for the faint of heart.